Latest news from Kate Tremayne. List of all my novels now available on kindle. 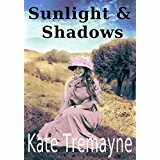 SUNLIGHT AND SHADOWS a victorian family mystery novel set on dartmoor. I am delighted to announce that due to popular demand all the LOVEDAY novels are at special low prices on Amazon Kindle at the moment.